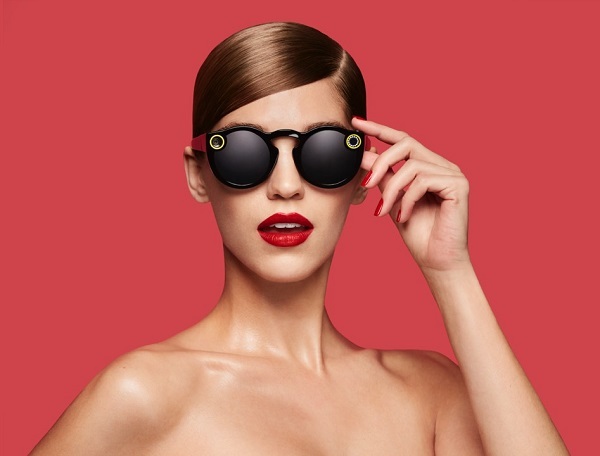 Snapchat launches 'Spectacles' sunglasses with an integrated video camera. Snapchat today announces the launch of 'Spectacles'. Spectacles are sunglasses with an integrated video camera that makes it easy to create Memories. Spectacles connect directly to Snapchat via Bluetooth or Wi-Fi and transfer your Memories directly into the app in our brand new circular video format. Circular video plays full screen on any device, in any orientation, and captures the human perspective with a 115 degree field of view. Snapchat created one of the smallest wireless video cameras in the world, capable of taking a day's worth of Snaps on a single charge, and integrated it seamlessly into a fun pair of sunglasses - available in 3 different colors! Spectacles is prices at $129 and will be available soon.